It’s a little bit of a tradition in our family to decorate eggs at Easter time and this year is no different! 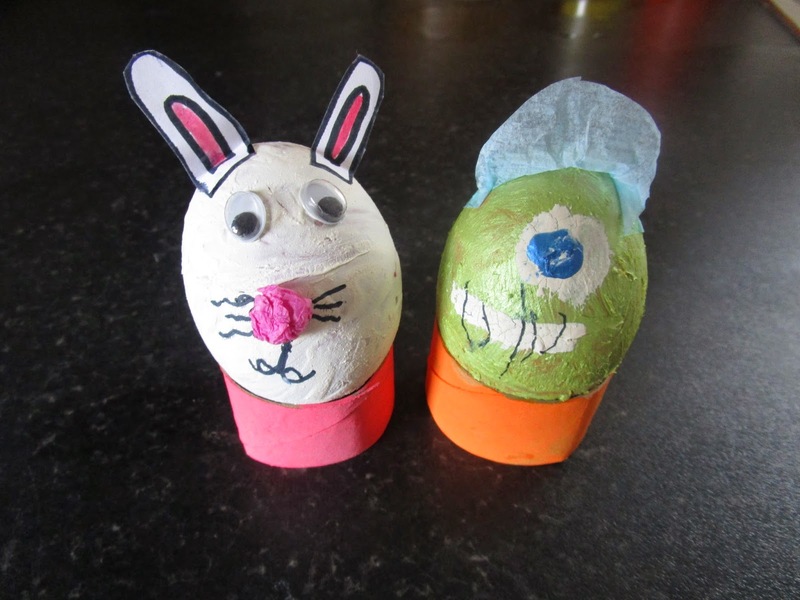 My 4 year old son decided he wanted to make a Mike Wazowski (from Monsters inc) egg and my 7 year old daughter opted to make an Easter bunny egg. We started off by hard boiling the eggs and waiting for them to cool. After that they painted them with some acrylic paint which a friend had given them. These can usually be picked up relatively cheaply in art stores or on-line. My daughter added tissue paper for her bunny nose, googly eyes and a cotton wool tail, and my son added a hat made from tissue paper. They both drew on extra details with a black felt tip pen, and we used painted kitchen tube pieces as holders so they could stand up and be displayed. We think they look great and will make a lovely table decoration at Easter time. Maybe you could decorate a whole bunch of eggs as a centrepiece! < Fruity Boat! Ship Ahoy!